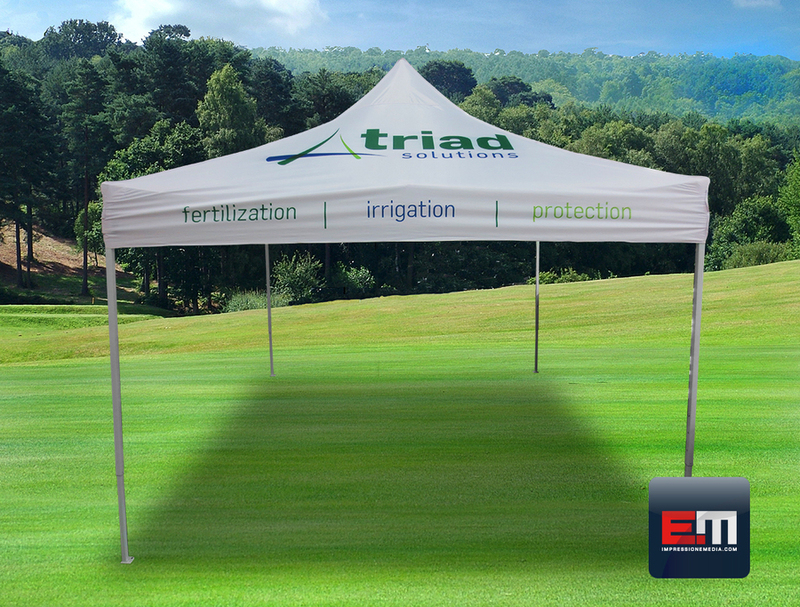 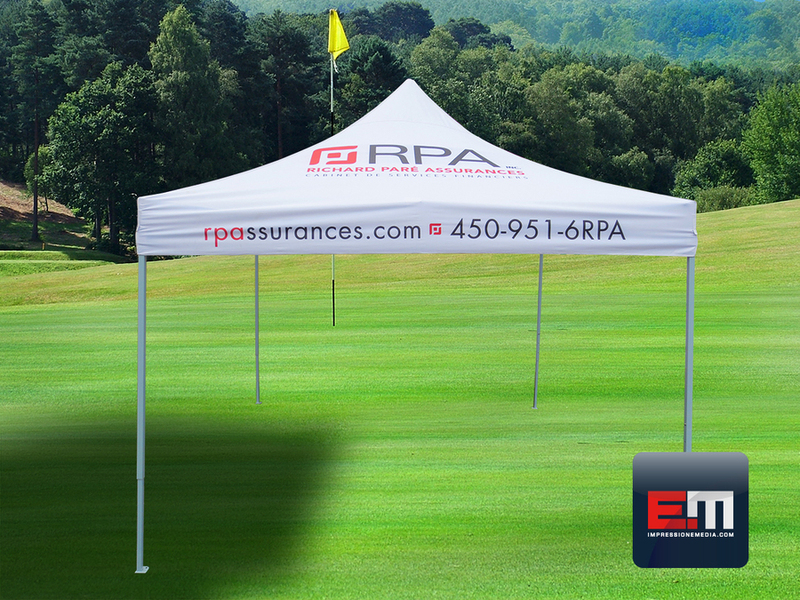 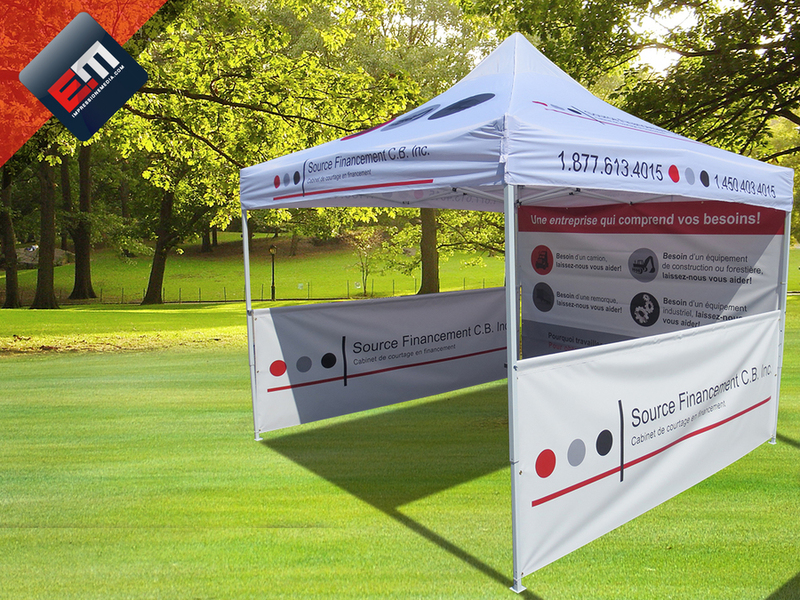 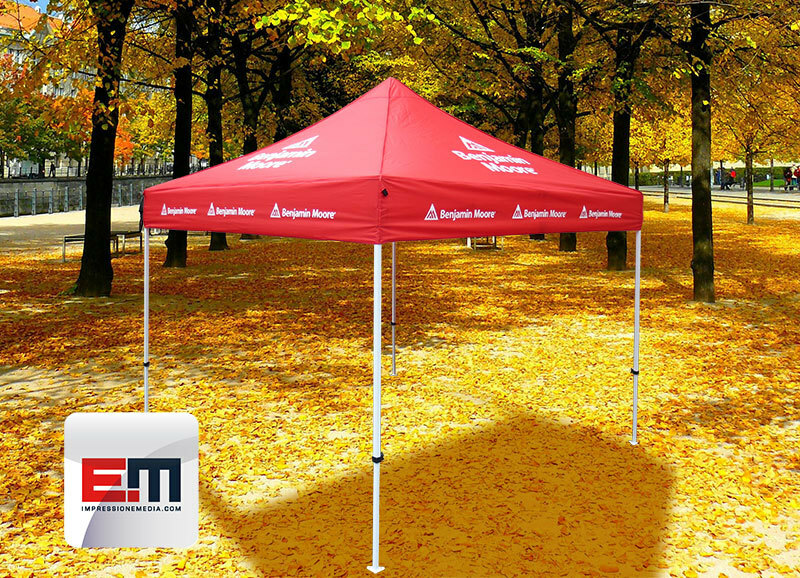 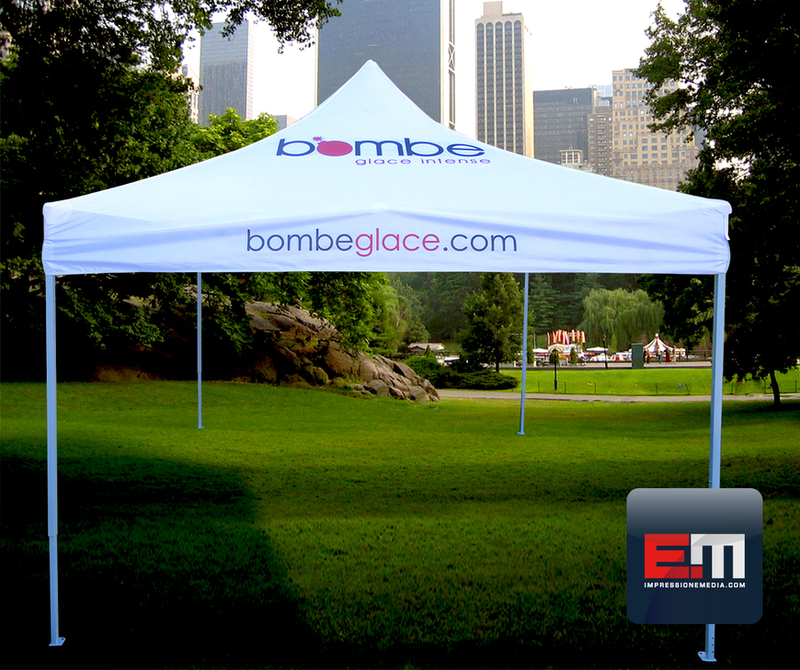 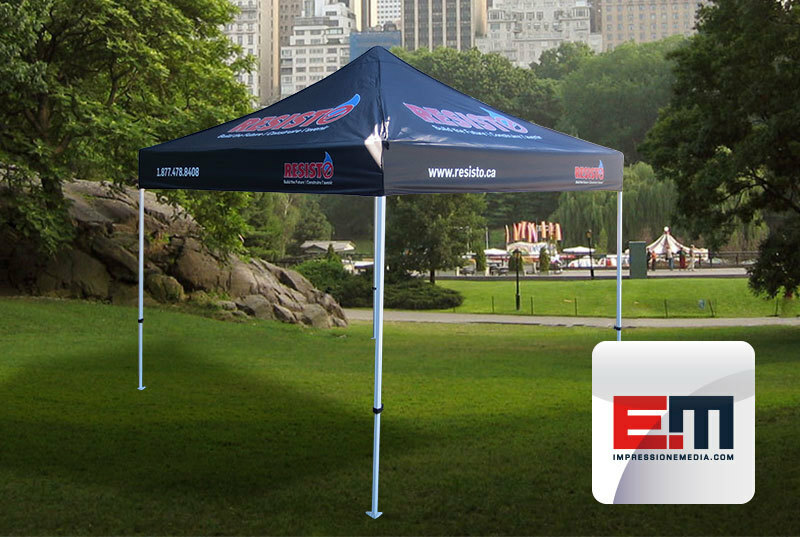 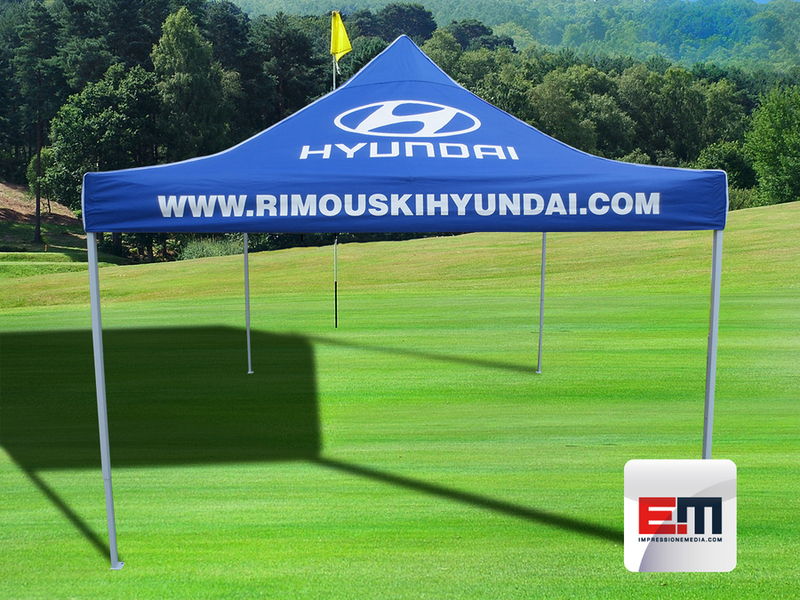 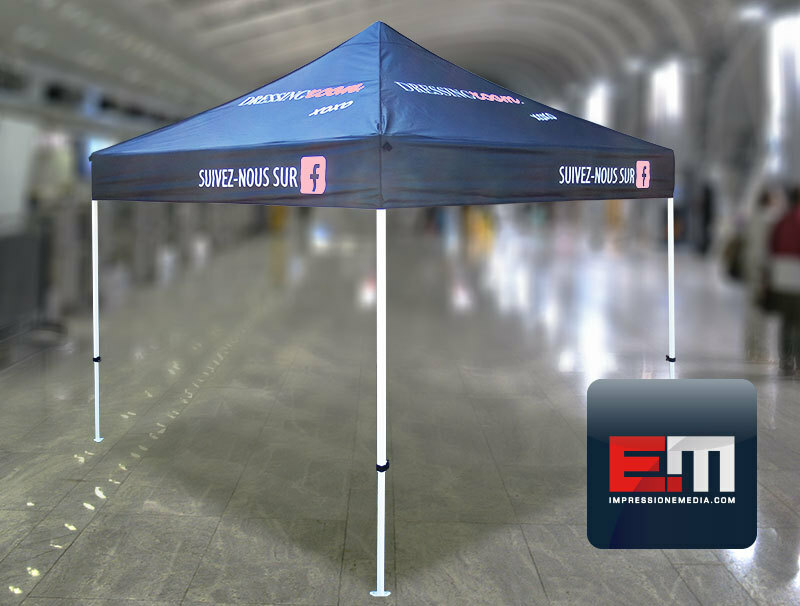 The Print EMEDIA Promotional Tent is our flagship product because we offer a more aggressive price. 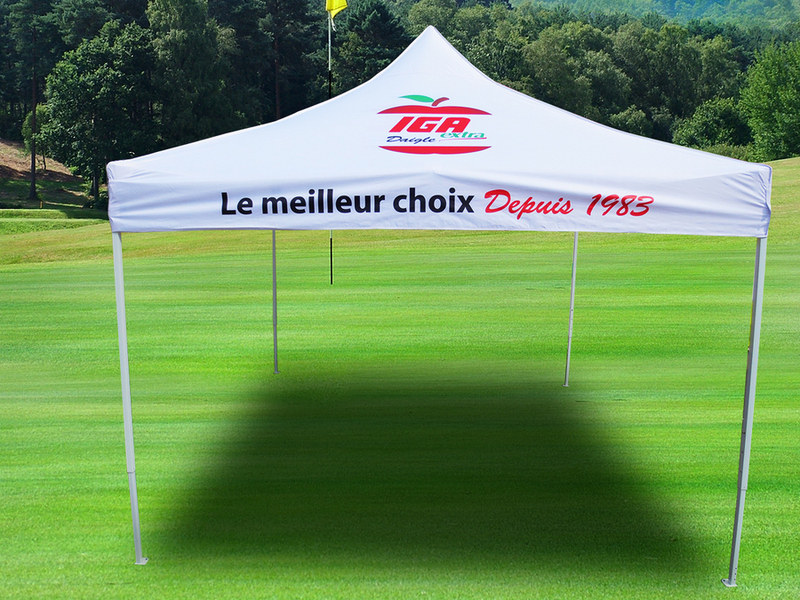 In fact, our prices are much cheaper than the competition with our unique digital printing method. 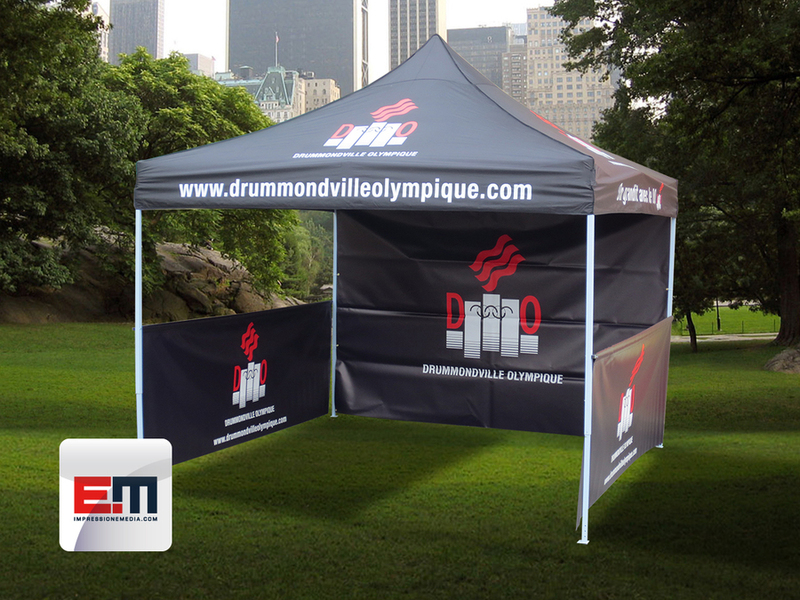 At this price, you can enhance the corporate image of your booth for indoor or outdoor use. 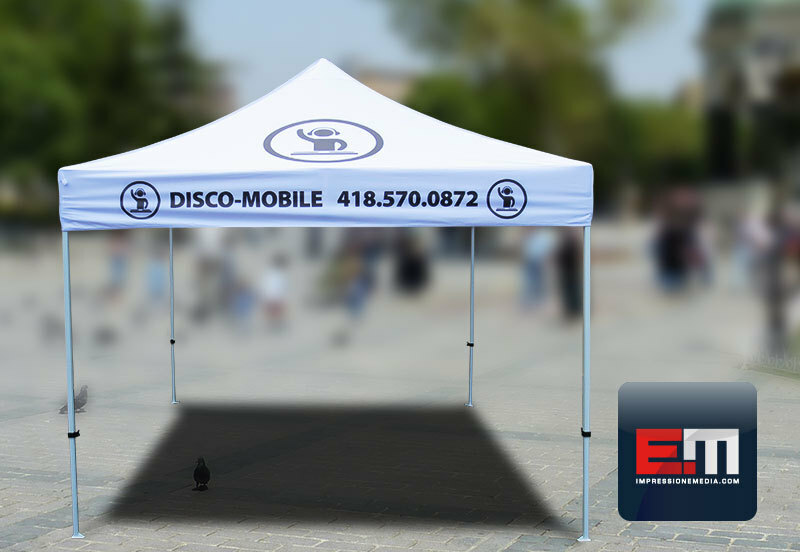 Our Promotional Tents size 10' x 10' are composed of a painted steel structure just thin enough to be light but thick enough to make them compact and robust. 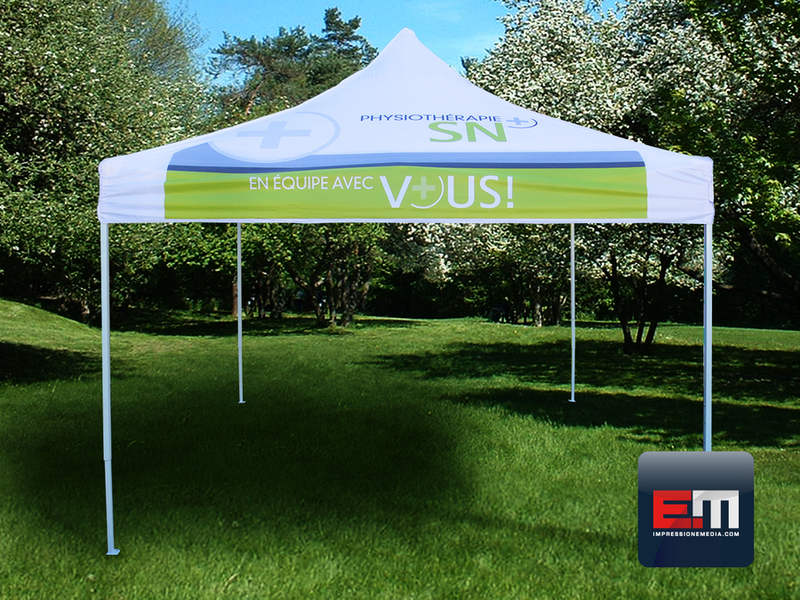 The top is made of 420D Oxford polyester treated against UV rays waterproof and printable on 4 sides as well as the valence. 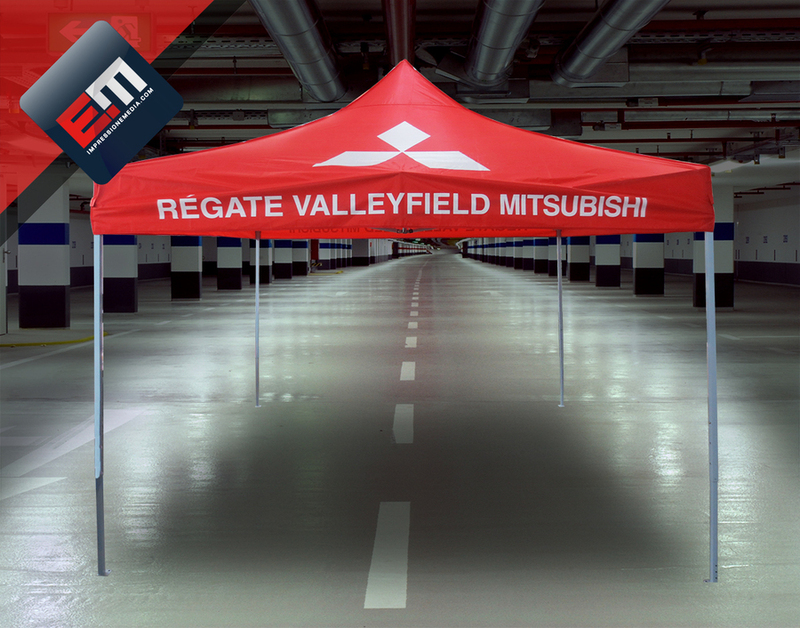 Its compact folding system allows easy assembly, storage and transport. 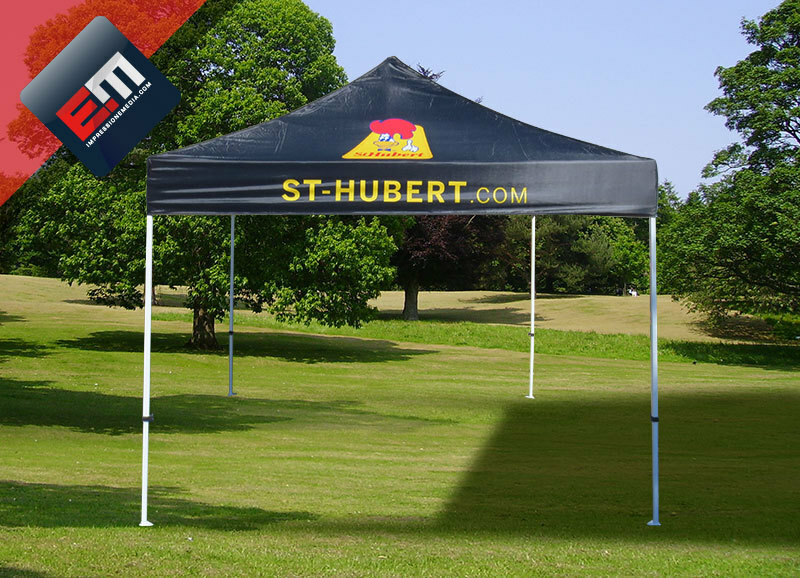 (transport bag on wheels included in the price). 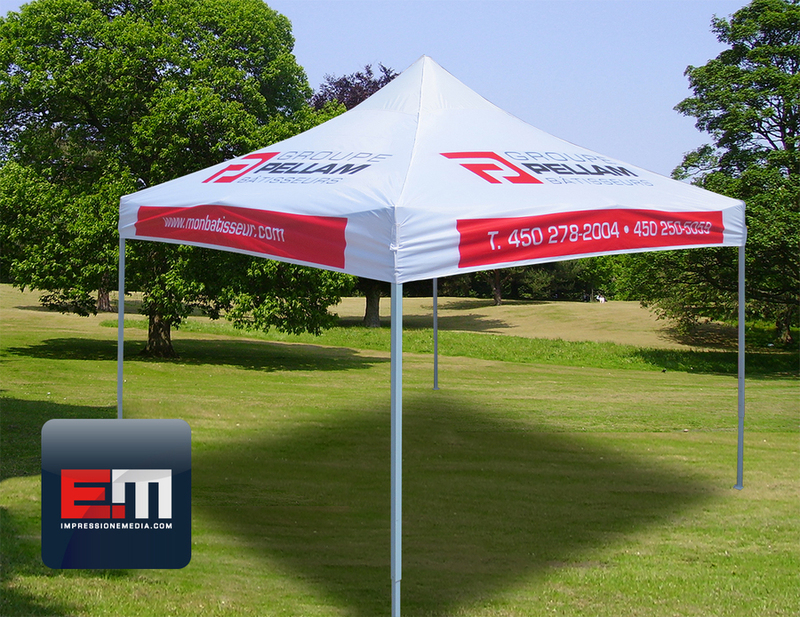 In addition, it allows a single person to mount and unmount the tent in minutes. 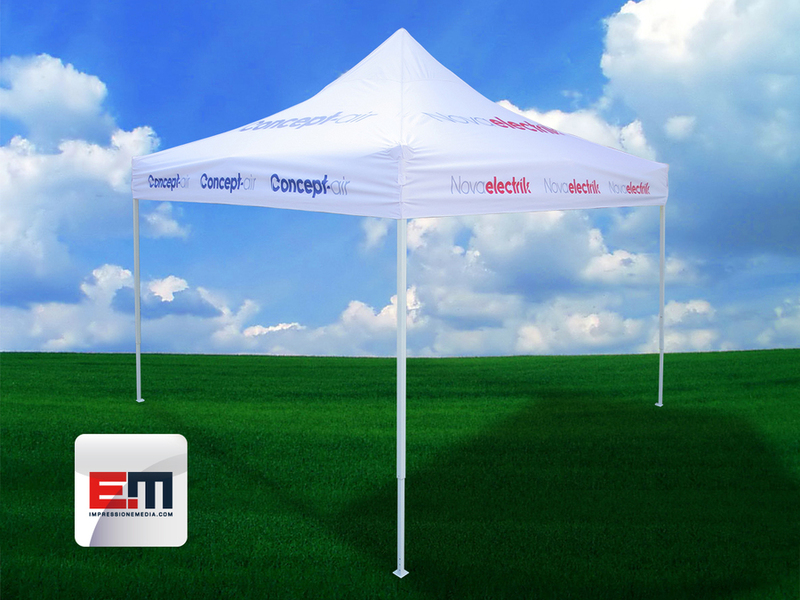 Print EMEDIA offers a choice of four colors: white, black, red and blue. 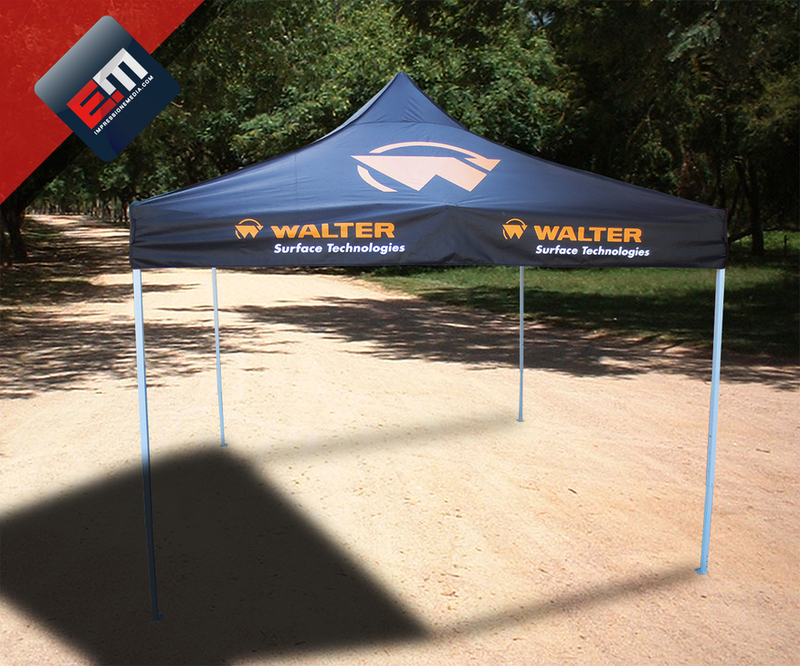 Also, you can complete your installation and show off yourself better by opting for a back wall and half walls. 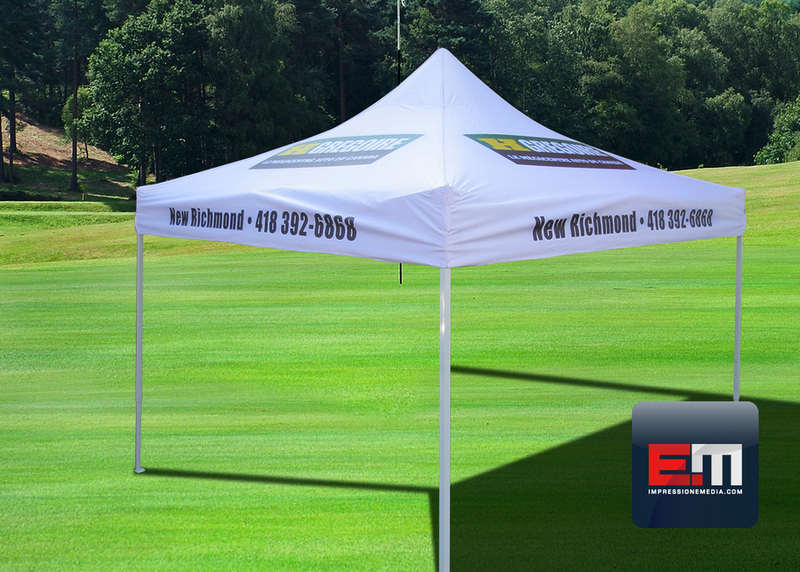 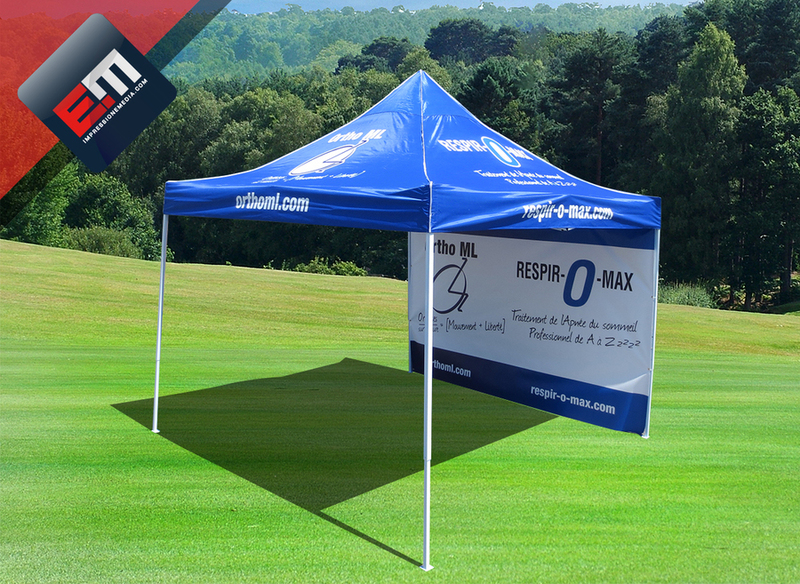 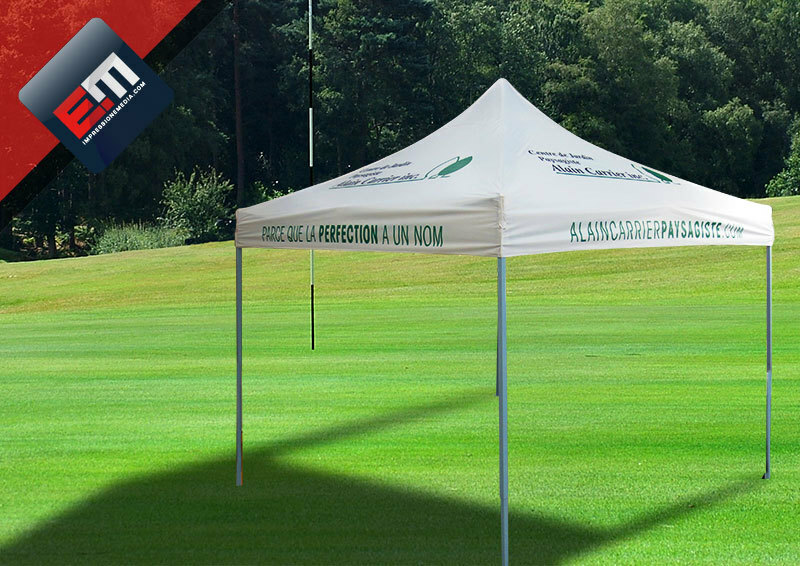 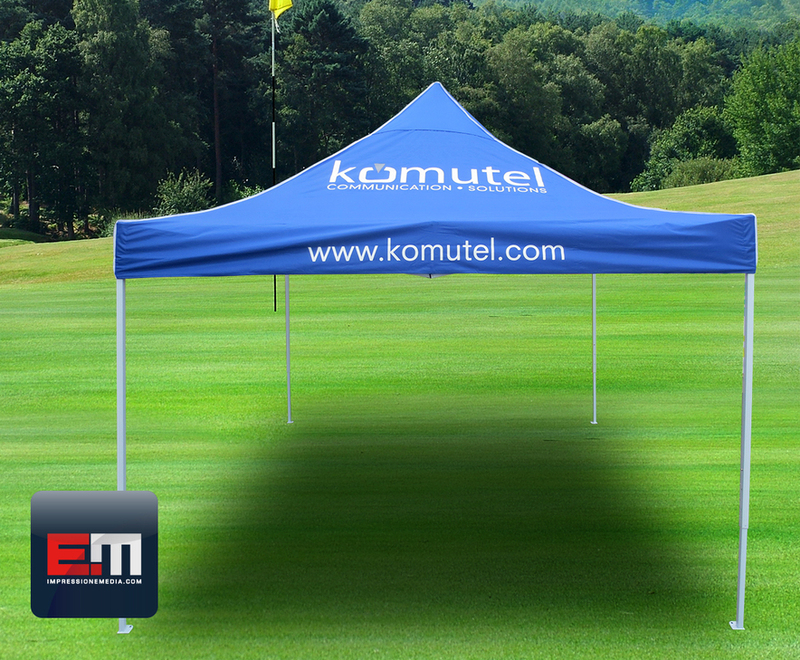 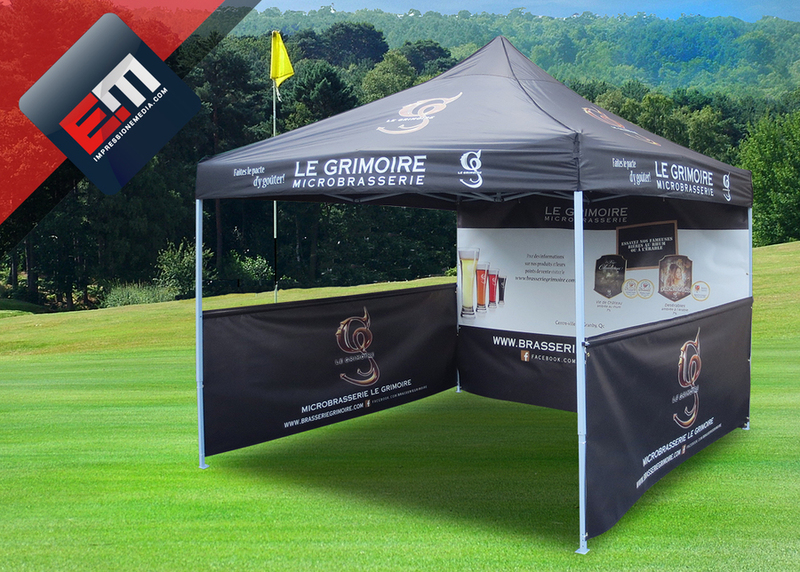 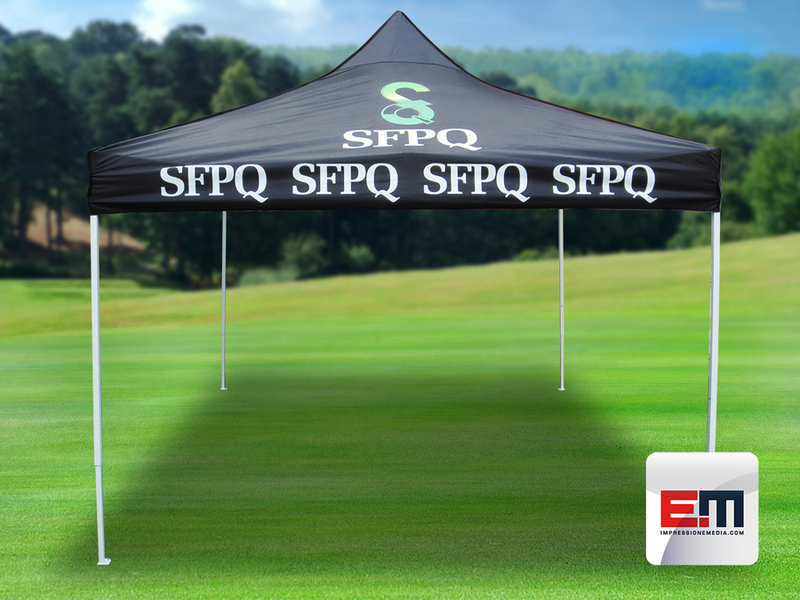 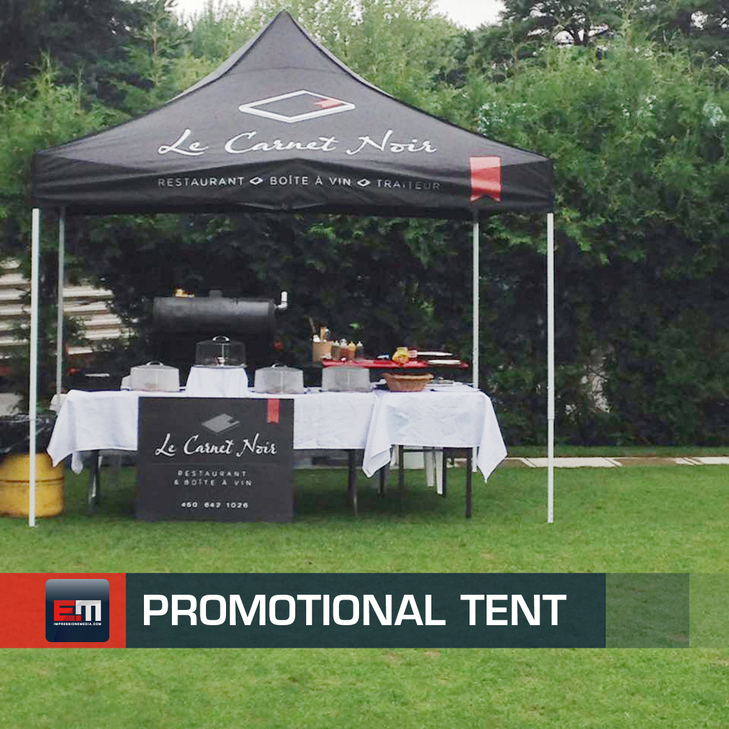 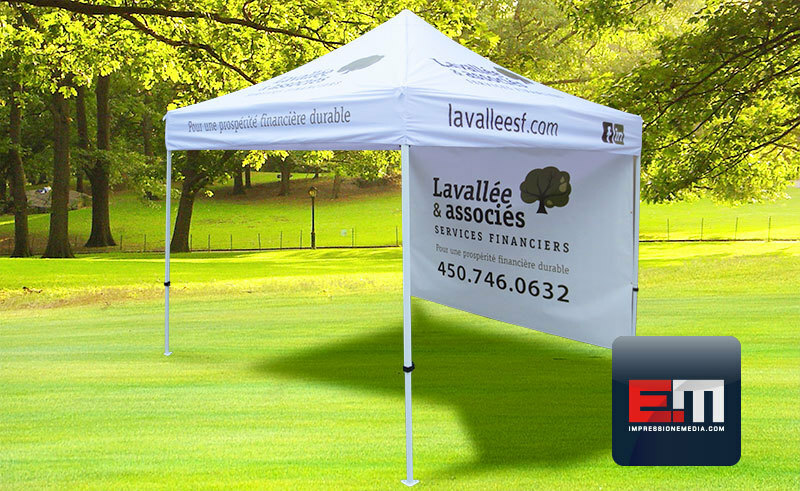 Want to promote your name at your fairs, sporting and promotional events, our printable Promotional Tents are ideal for you. 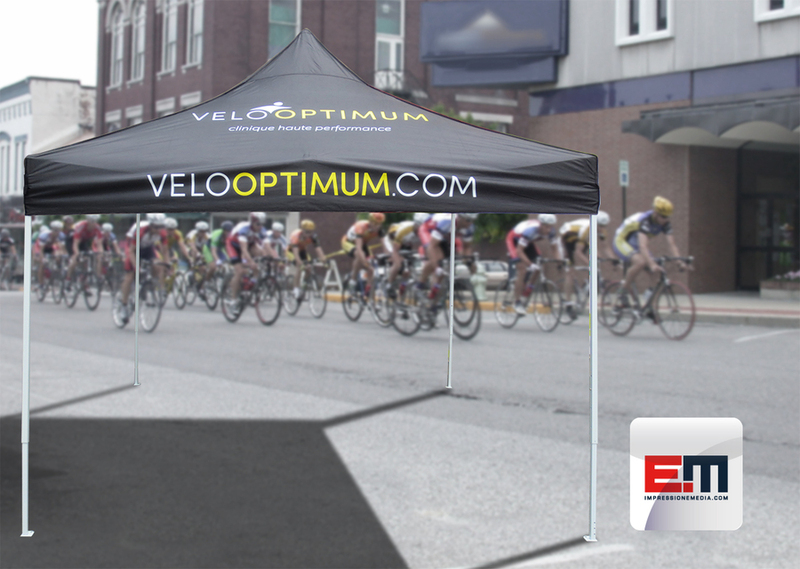 Please note that our team takes leave from July 20th to August 5th. 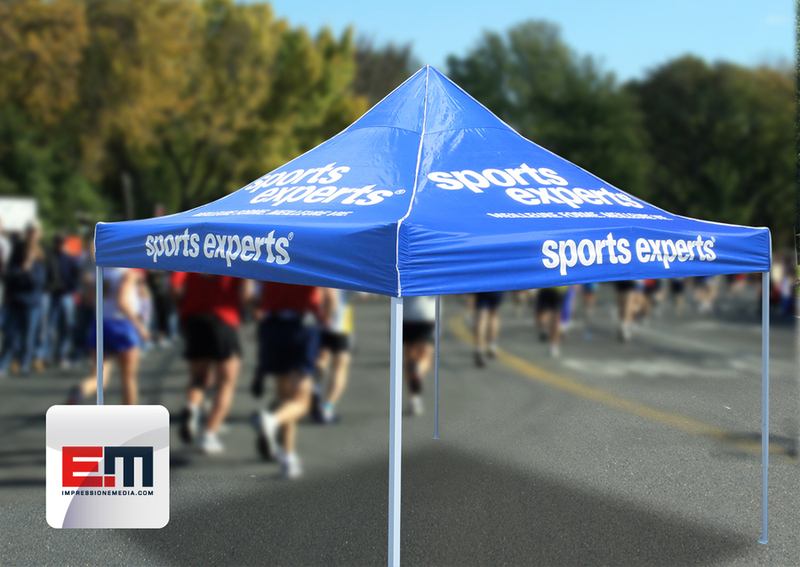 We will be back on August 6th. 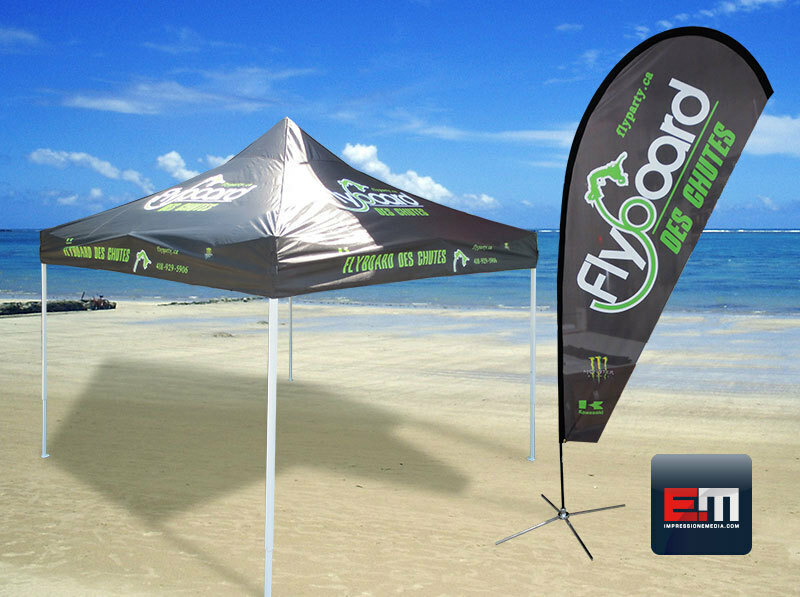 Orders received after July 10th will be delivered the week of August 6th. 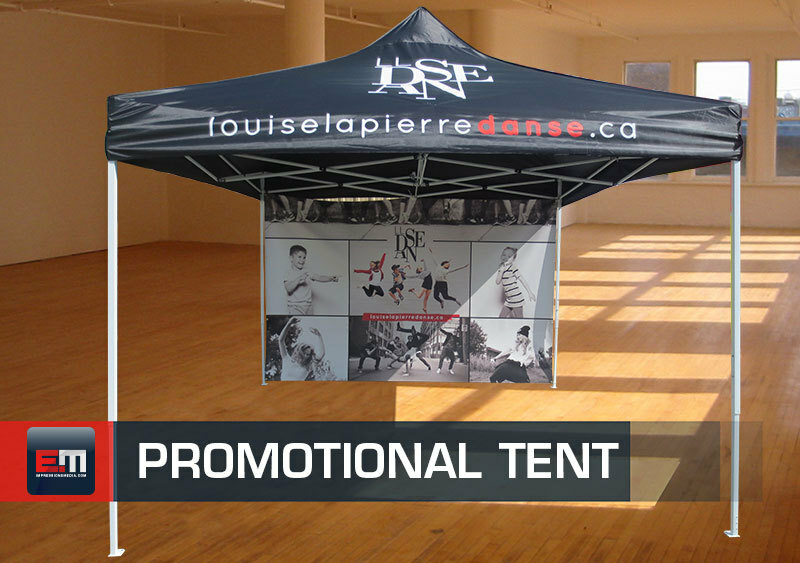 Please follow the instructions on the template for printing your promotional canvas tent (10 'x 10').